It's hard to believe but it's been over 25 years since Botox® was first approved for use in the US! It has stood the test of time as an effective, non-invasive, and safe treatment to reduce and prevent lines and wrinkles. It’s not an exaggeration to say that Botox® Lone Tree and Botox® Denver is the cornerstone of cosmetic dermatology. In fact, it's the number one non-surgical cosmetic treatment performed by dermatologists in Colorado and the entire US. 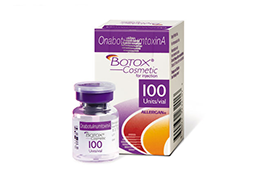 A: Botox® contains tiny amounts of botulinum toxin protein. It is used to improve lines and wrinkles on the face that can make patients look tired, angry, or older. Botox® is one of the most extensively studied cosmetic treatments and is approved for cosmetic use in 78 countries. Millions of patients have chosen to enhance their cosmetic appearance with Botox®. 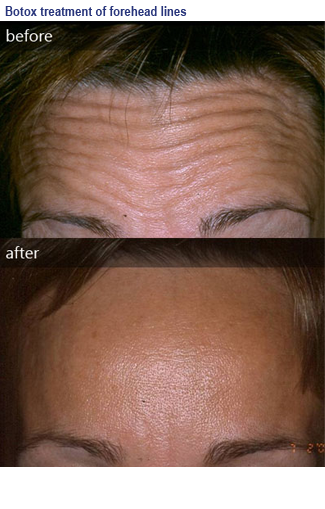 A: Kool-tox℠ is Dr. Ort's unique, non-invasive method of performing botulinum toxin treatment. Dr. Ort believes that these treatments should NOT be painful and should NOT typically cause bruising. ;Kool-tox℠ injections are delivered with the utmost precision, using gentle technique, tiny (32 gauge) needles, and ice-cold air to cool the skin. Extra care is taken to avoid visible veins to minimize bruising. Most patients comment that they have never had such a comfortable treatment! Q: Why choose Dr. Ort for Botox® treatment? A: All Botox® and filler injections in our office are administered by Dr. Richard Ort, M.D., a board-certified, Harvard-trained dermatologist. In the interest of patient safety, we do not employ a nurse, PA, or other staff to perform these treatments. Dr. Ort pioneered the non-invasive Kool-tox℠ technique. Dr. Ort has a conservative approach and is committed to achieving the best results while still staying within your budget. The goal of Kool-tox℠ treatment is to soften lines and wrinkles without looking overdone or frozen. Dr. Ort will carefully analyze your face and make a treatment plan that is tailored to you. Q: Are there alternatives to Botox®? A: Yes! Two Botox® alternatives, Xeomin® and Dysport® are available in Lone Tree and Denver. These products are similar to Botox® and can provide similar cosmetic benefits. 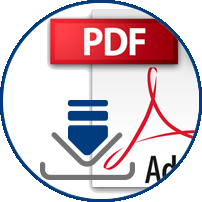 They can represent a great value for patients. Xeomin® (pronounced zee-oh-min) in particular is a preferred product of Dr. Ort. 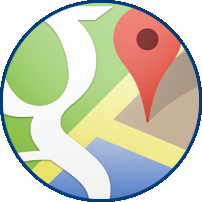 He is currently the largest user of Xeomin® in Lone Tree and the entire Denver area. Q: How does Xeomin® differ from Botox®? A: The active ingredient in both Xeomin® and Botox® is botulinum toxin. 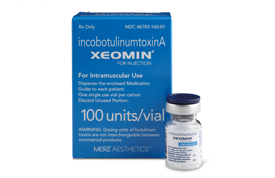 Unlike Botox®, Xeomin® is a "naked toxin", meaning that it is purified to remove the "accessory proteins" which are attached to the toxin molecule. Some people who undergo Botox® treatment may rarely build up antibodies against these accessory proteins, causing the product to become less effective. Xeomin® does not contain accessory proteins, which may decrease the risk of developing these types of antibodies. A: Many wrinkles on the face are caused by repetitive contraction of facial muscles. Botox® works by temporarily relaxing specific facial muscles, which leads to a softening and smoothing of wrinkles. Q: Where is Botox® used? A: Botox® is most commonly used on the upper face to smooth and relax facial lines. 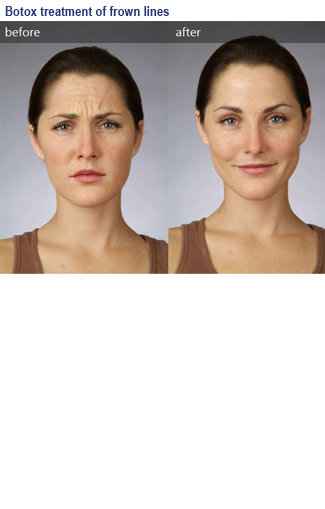 Vertical frown lines in the glabella (the "11’s"), horizontal forehead lines, and crow's feet around the eyes all respond well. Precise injections at the tail of the eyebrow can give a brow lift. Botox® is also used to reduce vertical lip lines, raise the corners of the mouth, and relax muscle bands in the neck. A: While each patient is unique, the average duration of treatment is typically 3-4 months. In some patients, the effects of Botox® can last up to 6 months or longer. Q: Can Botox® be used for hyperhidrosis (excess sweating)? A: We commonly use Botox® in our Lone Tree office to treat hyperhidrosis of the armpits, palms, or soles. This can provide effective relief and reduce the embarrassment of excess sweating. Results typically last about six months. Other treatments that we use for hyperhidrosis include topical antiperspirants, oral medication, and iontophoresis. Q: Are there any side effects from Botox®? A: Botox® has been safely used in millions of people over the last 25 years. With proper physician oversight, Botox® is one of the safest medicines used in cosmetic dermatology. As with all medical treatments, side effects can rarely occur. The risk of a serious side effect from cosmetic Botox® treatment is extremely low. 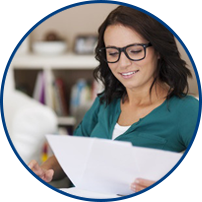 We recommend that you review our consent form prior to your treatment.